The service that allows people to post their websites or web pages on the internet is web hosting and this service is provided by a web hosting service provider or a web host who facilitates with the technologies and other services. Any person who wants to make his or her website to be viewed on the internet needs to do it through a web host who hosts or stores the website on servers that are special computers. People can get their websites built and hosted by hiring IT support and managed services. When a website is hosted on a server, people who know its address or domain name can view it through a network or modem. IT consultants tell that there are numerous web hosting services available in the market, ranging from free services to paid services. Let us understand the elements that make a web host work. Storage: All the written content, images, graphics and anything else that is a part of a website needs to be stored on the special computer called server to enable the internet users to view it when they visit the website. The web host provides the storage for all these files and the amount of storage provided varies from web host to web host and may even depend on the amount paid for it. Hardware: A web host needs many computers and other equipment including servers that are kept in a data center. When a web host offers its services, it includes the use of this hardware also. Uptime: The amount of time when visitors will be able to view a website is ‘uptime’. 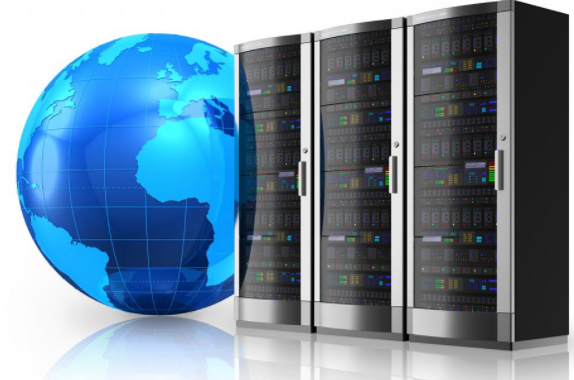 Web hosts usually provide an uptime of 99.9% which is the industry standard. Security: Websites contain a lot of information that could be sensitive and private. So, the onus of providing security to the website owners for their information from criminals is on the web host. A web host provider must adopt strict security measures to protect the websites from any kind of data theft. IT support: A web host generally provides round-the-clock IT support to its customers to ensure that they can work any time and provides free templates that can be used to create websites easily. 1)Internet Service Providers (ISPs): ISPs are generally easy to start with and cost-effective for the services they provide which makes them a popular choice for many first-timers creating websites. These are useful for small websites with less traffic. 2)Free web hosting: According to IT support and managed services professionals this type is also a good option for small and personal websites because these are generally funded by advertising that appears on the website and hence not suitable for business websites. 3)Paid Hosting: As the name suggests, this type of web hosting has a fee for space and services offered and they vary per the fee paid. 4)Domain Hosting: Domain hosting gives the flexibility of hosting your site anywhere – an ISP, a free hosting service, or your own server. 5)Direct internet access: Huge companies with large data centers or those that require highest levels of security can opt for this type where the companies host their websites on their own servers. IT consultants at Accuprosys help clients get their websites hosted at competitive rates along with the services of designing websites and registering domain names. Experts at Accuprosys also help their clients with the content management systems and search engine optimization.